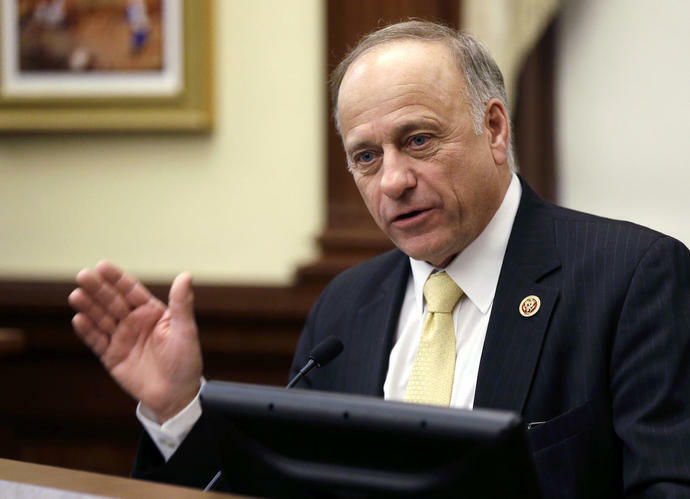 WASHINGTON (AP) -- Veteran Republican Rep. Steve King will be blocked from committee assignments for the next two years after lamenting that white supremacy and white nationalism have become offensive terms. Invoking the memory of the Rev. Martin Luther King Jr. - whose 90th birthday will be celebrated on Tuesday - Clyburn called on colleagues from both parties "to join me in breaking the deafening silence and letting our resounding condemnation be heard." "Some in our party wonder why Republicans are constantly accused of racism - it is because of our silence when things like this are said," Scott wrote.